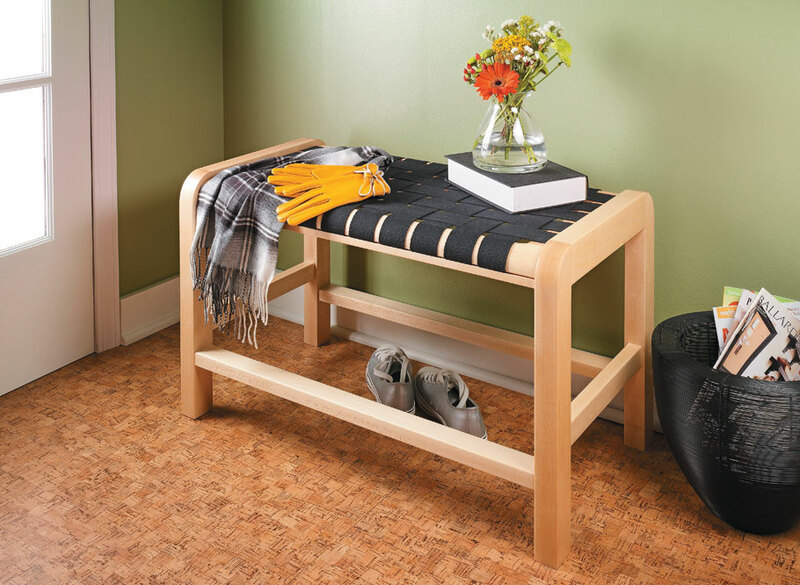 This one-seat bench is small enough to fit just about anywhere in your home. 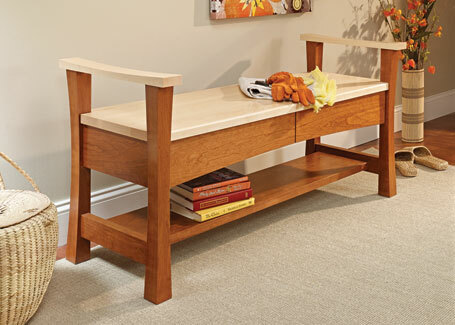 The bench frame is built with mortise and tenon joinery for rock-solid construction. 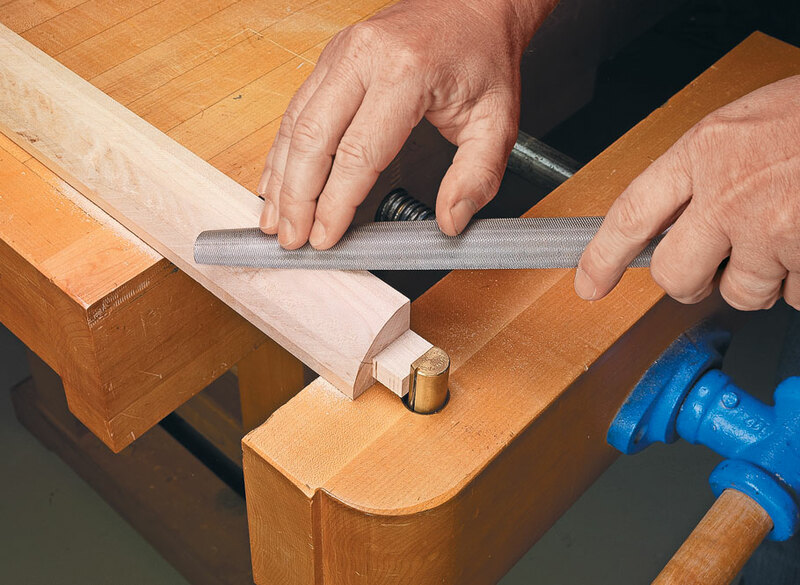 Plus, rounded seat rails, shaped on the table saw, will add to your expertise. And the woven seat will give you a chance to try your hand at another skill. The bench goes together surprisingly fast. 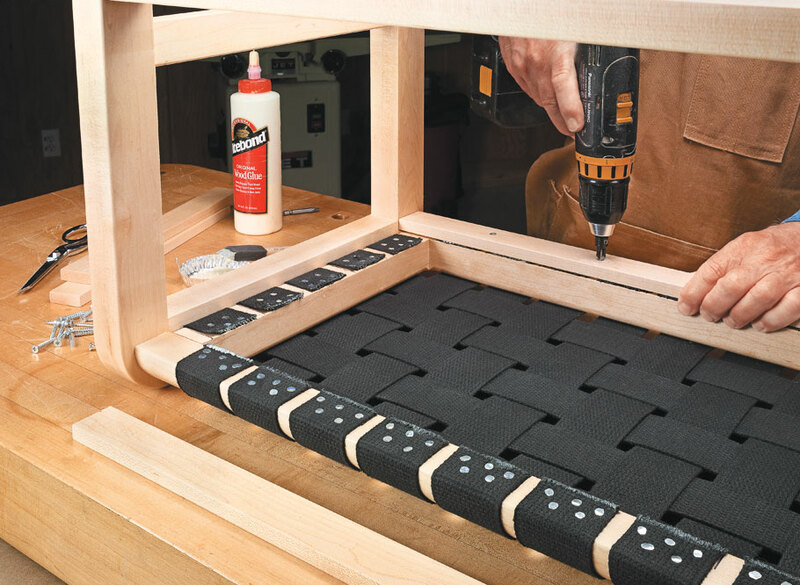 Just two end frames, a seat and two stretchers and you’ll have a soft, comfortable seat for changing shoes or boots in the hall or any other use you may have. 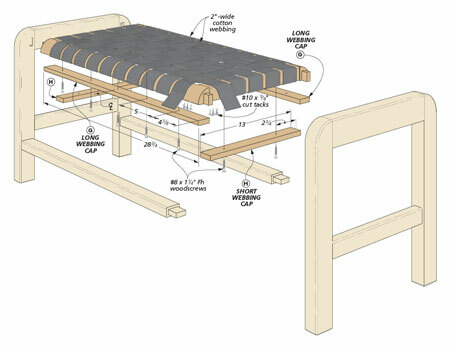 Solid frame and panel construction makes this bench as sturdy as it is attractive. 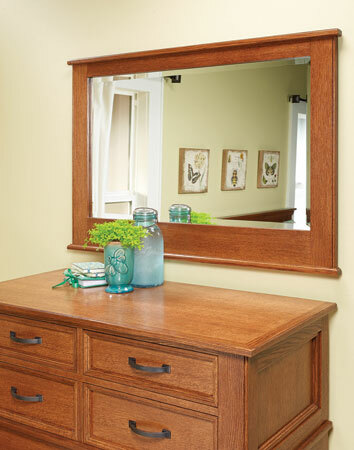 A few pieces of wood and a weekend are all it takes to build this heirloom mirror. Form and function combine in this sleek-looking seat. 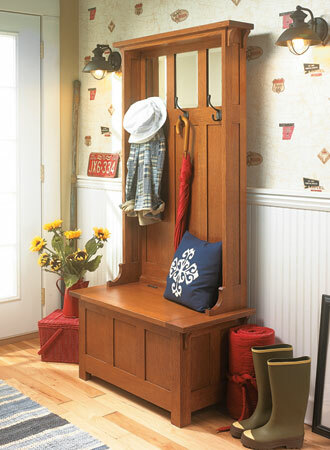 It’s a bench that will look at home in an entryway or any room in the house.